USDA loans require no down payment, you may finance up to 100% of the property value. You must meet the income restrictions for the County you are interested in. Each county has a maximum Income Requirement. The USDA Home Loan Program does allow for considerations for expenses like Child Care. To be eligible, you must be purchasing a property in a rural area as defined by the USDA. The home or property that you are looking to purchase must be owner-occupied, investment properties are not eligible for USDA loans. Eligibility: Applicants for direct loans from HCFP must have very low or low incomes. Very low income is defined as below 50 percent of the area median income (AMI); low income is between 50 and 80 percent of AMI; moderate income is 80 to 100 percent of AMI. Families must be without adequate housing, but be able to afford the mortgage payments, including taxes and insurance, which are typically 24 percent of an applicant's income. However, payment subsidy is available to applicants to enhance repayment ability. Applicants must be unable to obtain credit elsewhere, yet have reasonable credit histories.  Eligibility: To obtain a loan, homeowner-occupants must be unable to obtain affordable credit elsewhere and must have very low incomes, defined as below 50 percent of the area median income. They must need to make repairs and improvements to make the dwelling more safe and sanitary or to remove health and safety hazards. Grants are only available to homeowners who are 62 years old or older and cannot repay a Section 504 loan. Need more information? Give us a call at (219) 299-8540 or start an application today!